Millennials (born 1980-1996) are entering the job market in increasing numbers. Estimations say that four years from now, Millennials will make up 50% of the global workforce. Raised differently and in different times, Millennials are not like the previous generations, both in their view and in their approach towards work. No less than 61% of seasoned HR professionals believe Millennials are hard to manage and unprepared for the workplace. Millennials themselves also seem discontent, with only 29% of employed Millennials currently feeling engaged with their work. As a result, 6 out of 10 Millennials leave their company after less than three years at an estimated cost to the organization of $20,000 per person to replace. 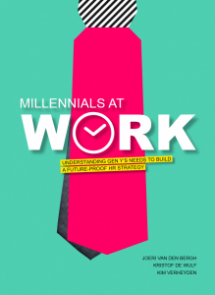 Check out our Millennials at Work bookzine and find out how to optimally capitalize on the Millennials’ talents and maximize their impact on business performance. The bookzine shares numerous ways to make your company more Millennial-proof. As there is a wealth of research that shows that many of these strategies also have a significant positive impact on your overall business performance, making your organization more Millennial-proof is not just about Millennial pleasing or making concessions, it is about strengthening your organization as a whole to ultimately become more future-proof. Eager for more insights on how to build a Millennial-proof HR strategy? 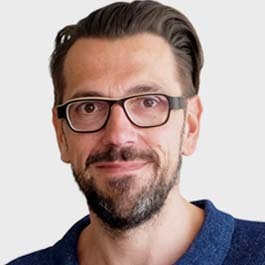 Get your download of the Millennials at Work bookzine or replay our Millennials at Work Webinar to hear the story first-hand from our NextGen expert Joeri Van den Bergh.